A laughter-filled evening of hilarity and variety as the sun sets within the magical outdoor Courtyard Theatre of Battersea Arts Centre. 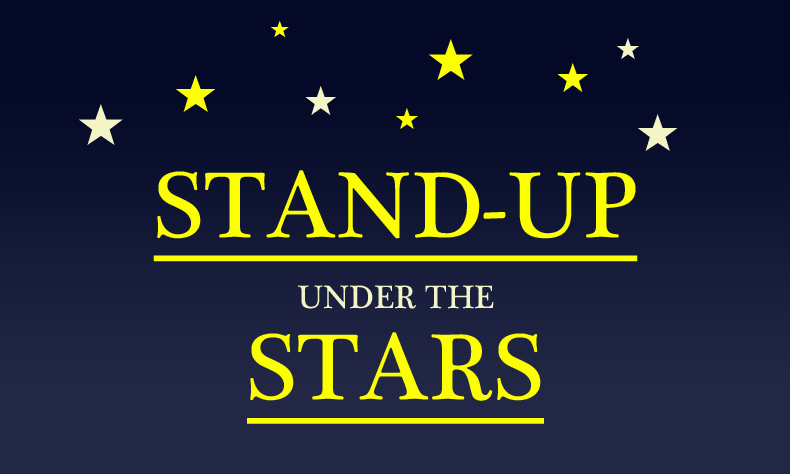 There will be stand-up, character comedy and musical comedy from a host of starry names. On 14th June, join our headliner DANIEL KITSON, BBC2 and Radio 4 star KIERAN HODGSON, Edinburgh Comedy Award nominee LUCY PEARMAN, music from the award-winning TOM BASDEN, and hosted by PIERRE NOVELLIE. June 27 line-up will feature the wonderful oddball comedy of Live at the Apollo and Upstart Crow’s SPENCER JONES, Live at the Apollo’s rising star PHIL WANG, the madcap hosting of the award-winning PHIL ELLIS, Edinburgh Comedy Award nominee ELF LYONS and the award-winning ARNAB CHANDA. The line-up for 5th July will feature Edinburgh Comedy Award winner, Partridge sidekick and poet TIM KEY, Taskmaster and QI star LOLLY ADEFOPE, stand-up from rising star TOM WARD, music from the cowboy philosopher from Cripple Creek Colorado WILSON DIXON, all hosted by the ever-lively SARAH KEYWORTH.